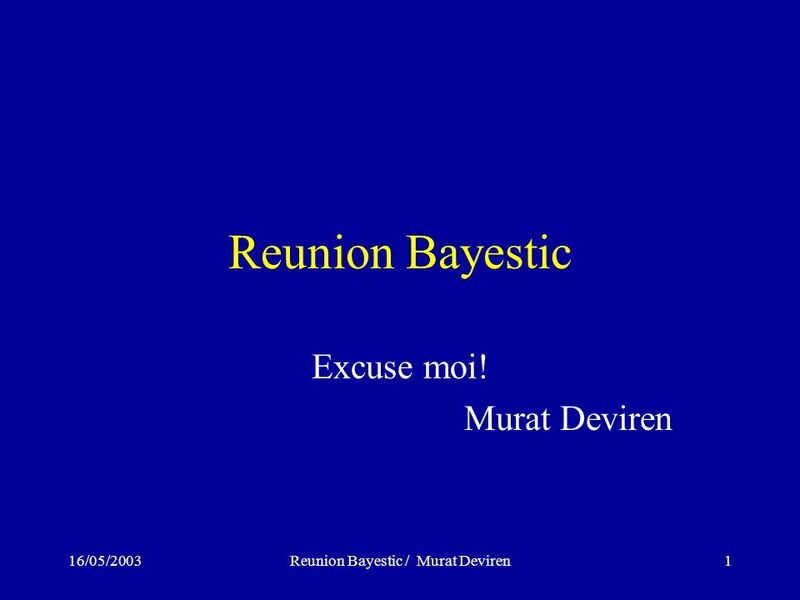 16/05/2003Reunion Bayestic / Murat Deviren1 Reunion Bayestic Excuse moi! 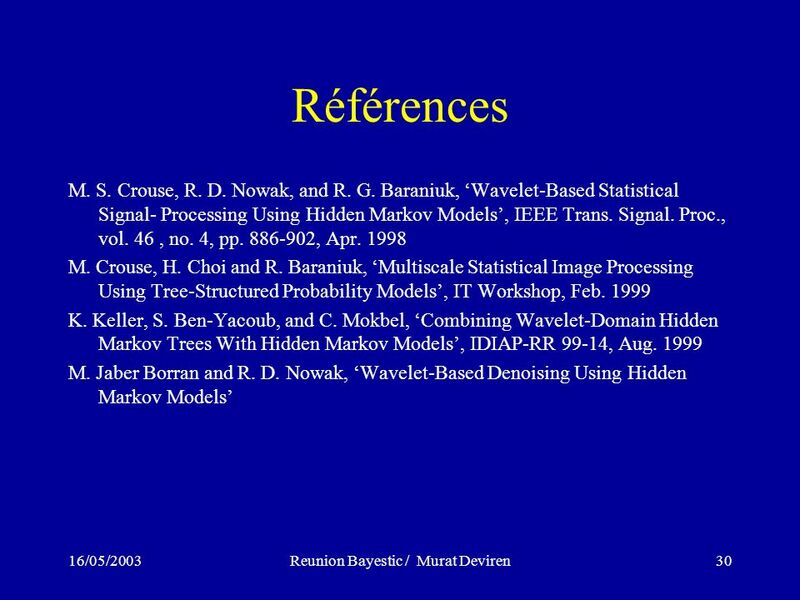 Murat Deviren. 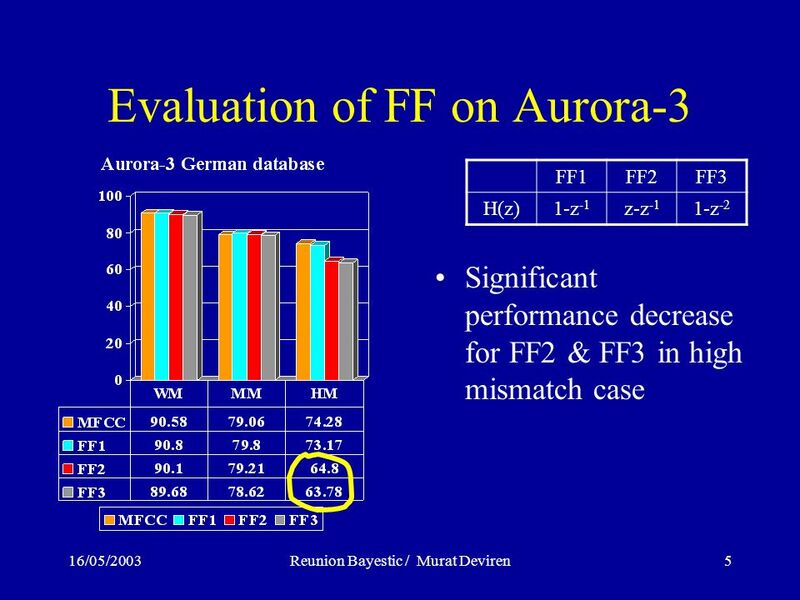 7 16/05/2003Reunion Bayestic / Murat Deviren7 Perspectives BUT –These results could not be verified on other subsets of Aurora-3 database. 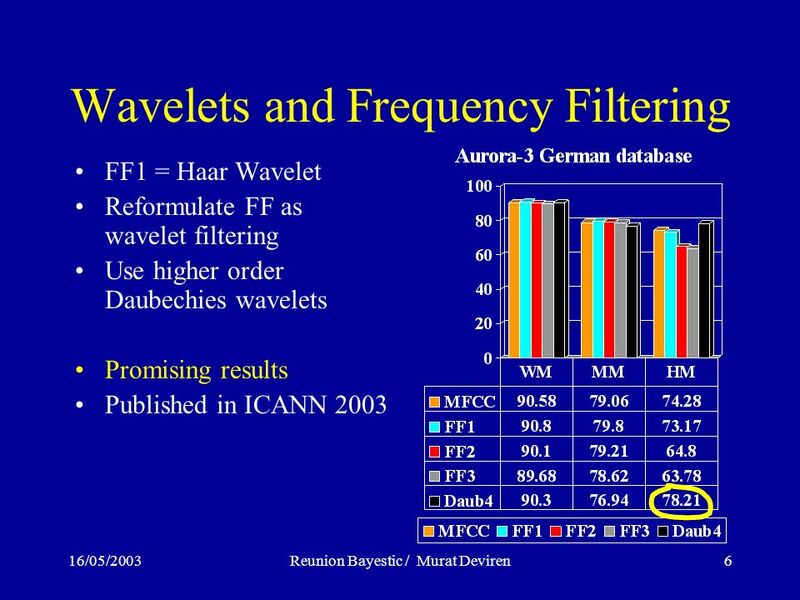 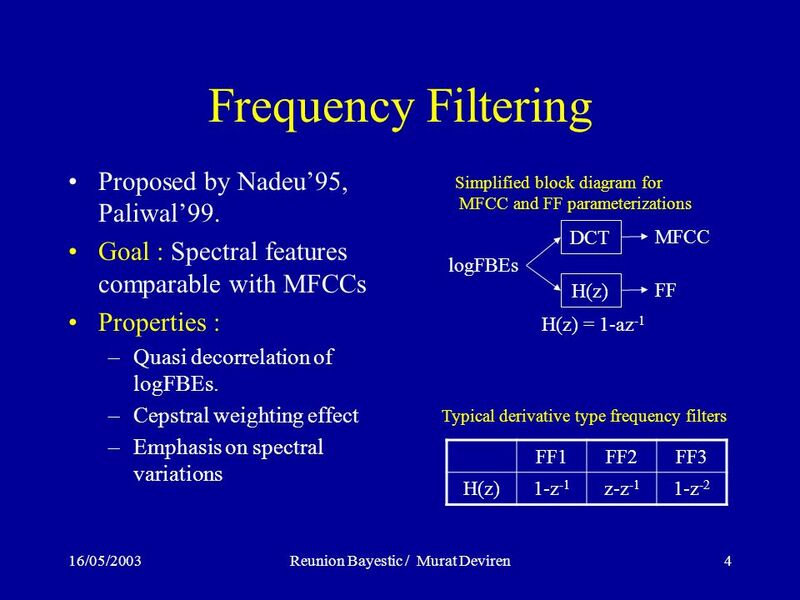 To Do –Detailed analysis of FF and wavelet filtering –Develop models that exploit frequency localized features. 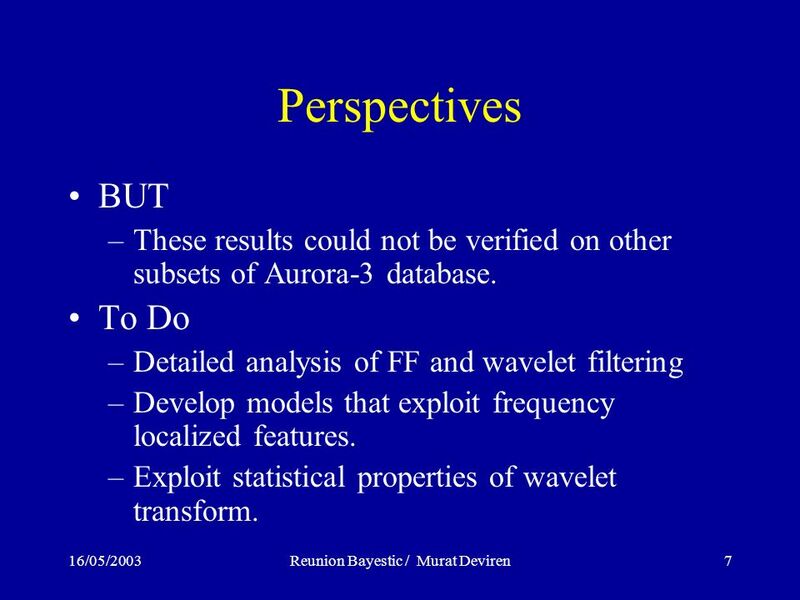 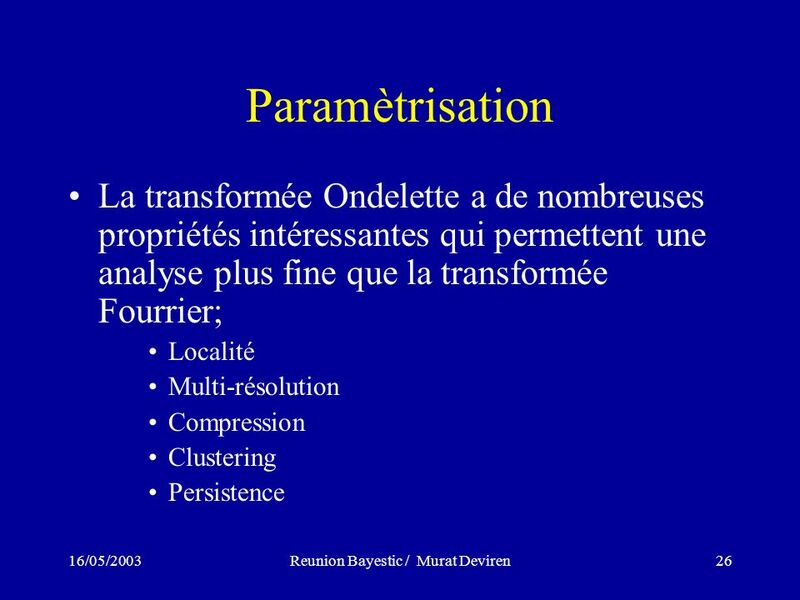 –Exploit statistical properties of wavelet transform. 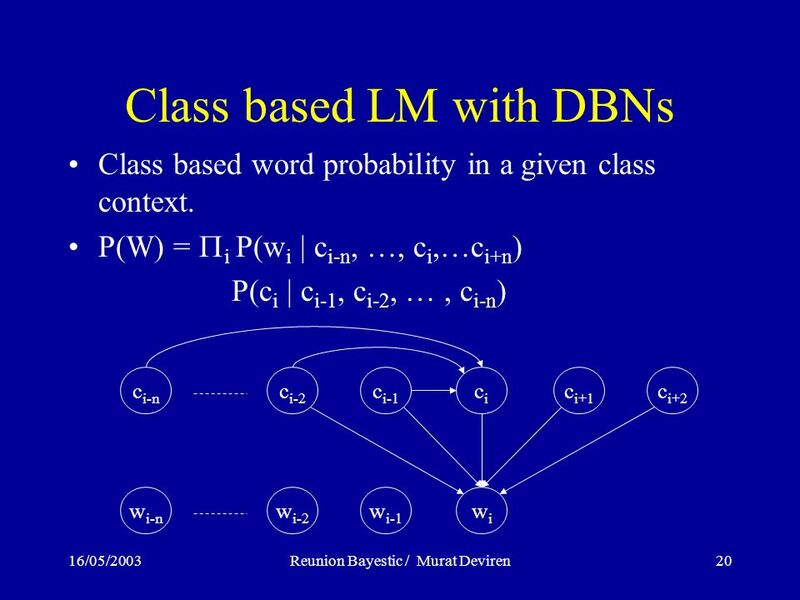 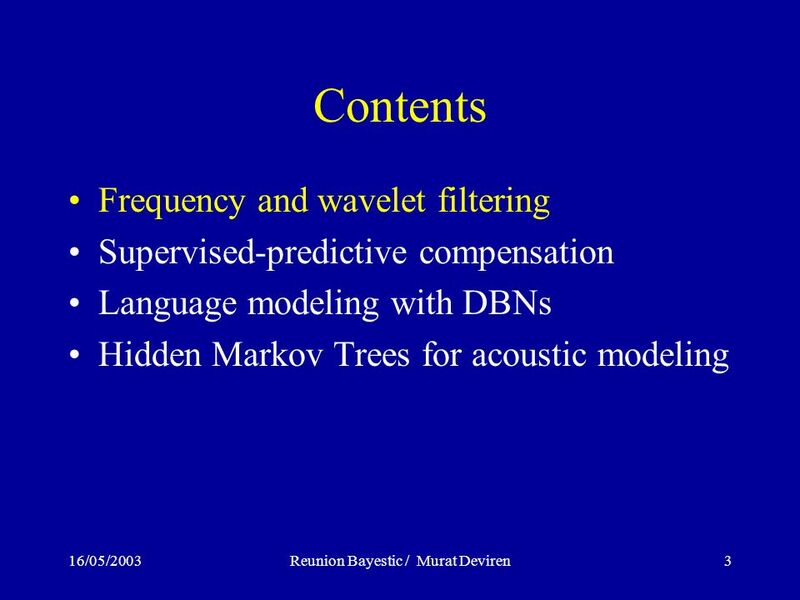 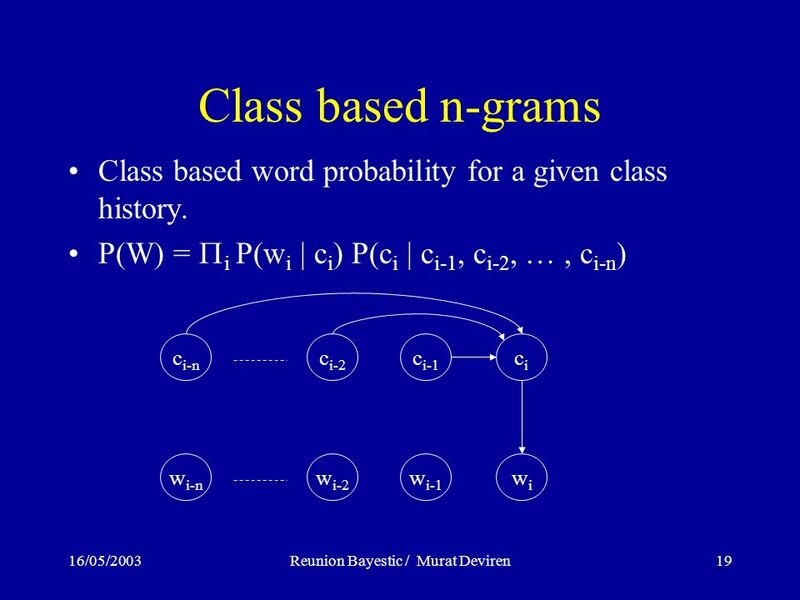 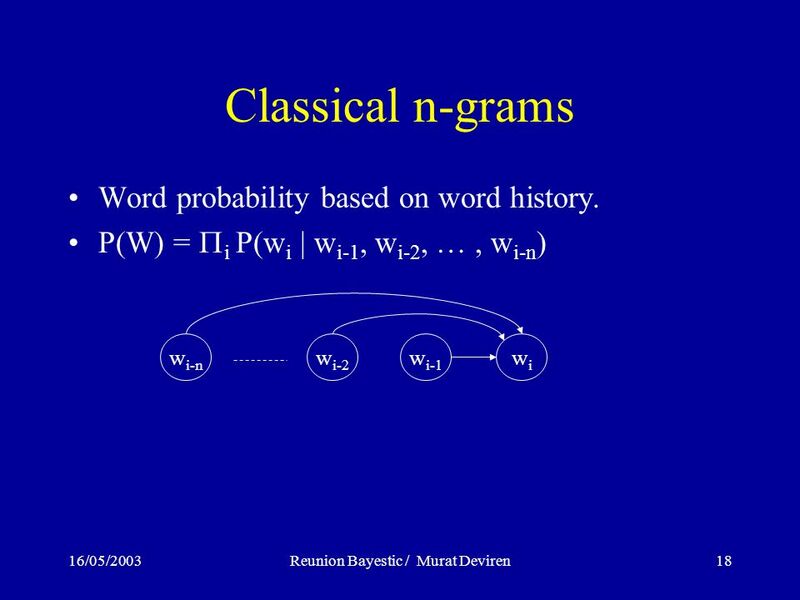 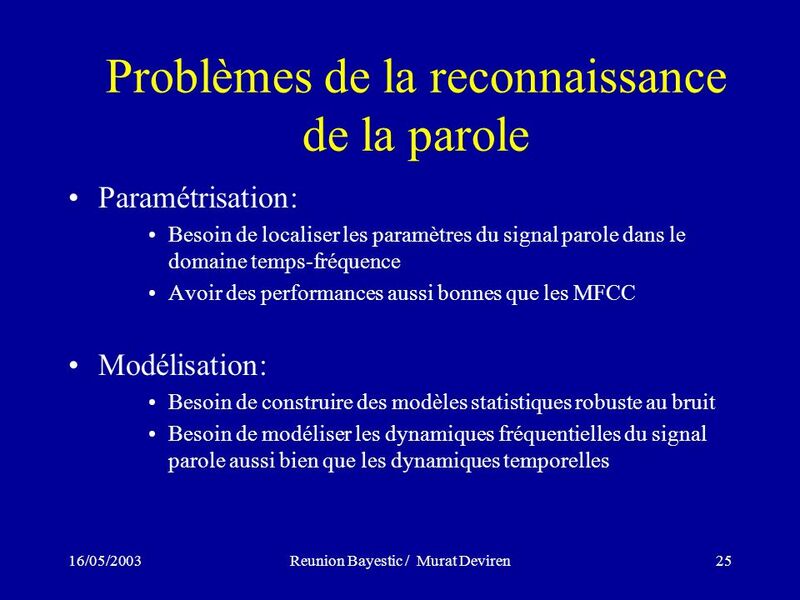 10 16/05/2003Reunion Bayestic / Murat Deviren10 Supervised-predictive compensation Goal : –exploit available data to devise a tool for robustness. Available data : –speech databases recorded in different acoustic environments. 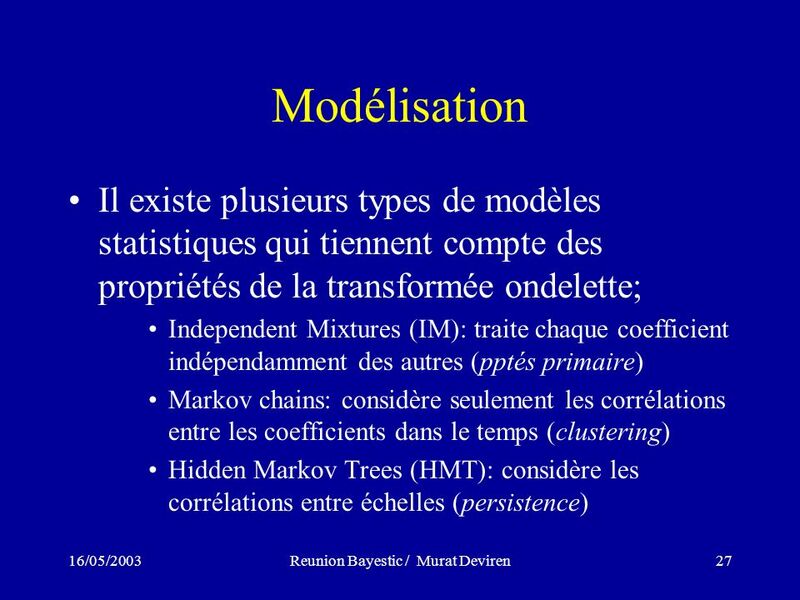 Principles : –Train matched models for each condition. 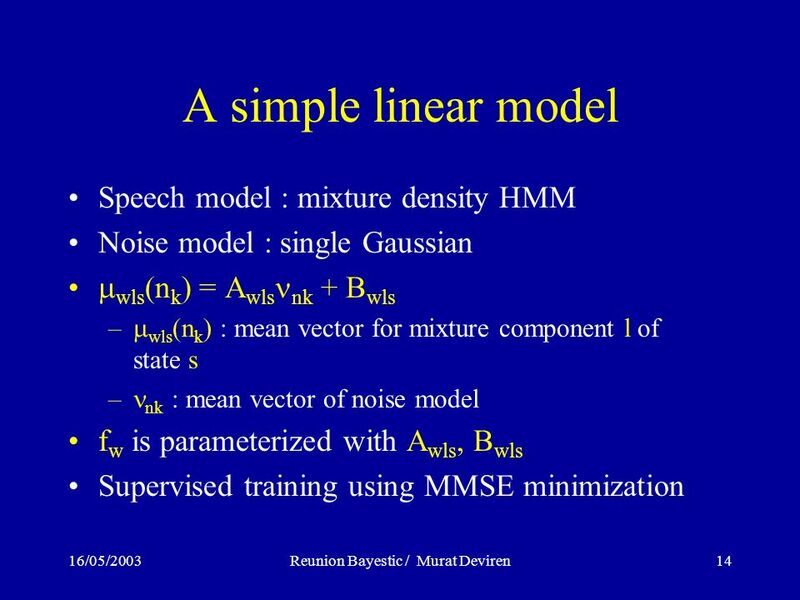 –Train noise models. 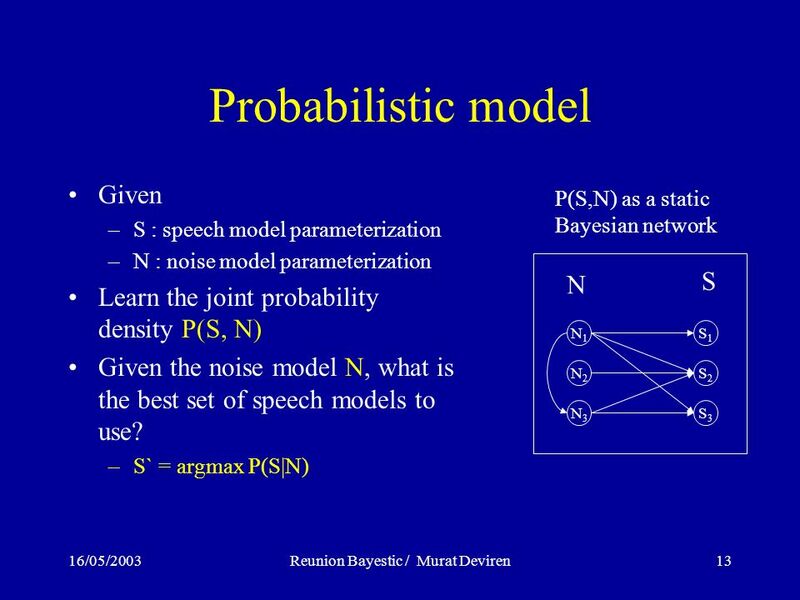 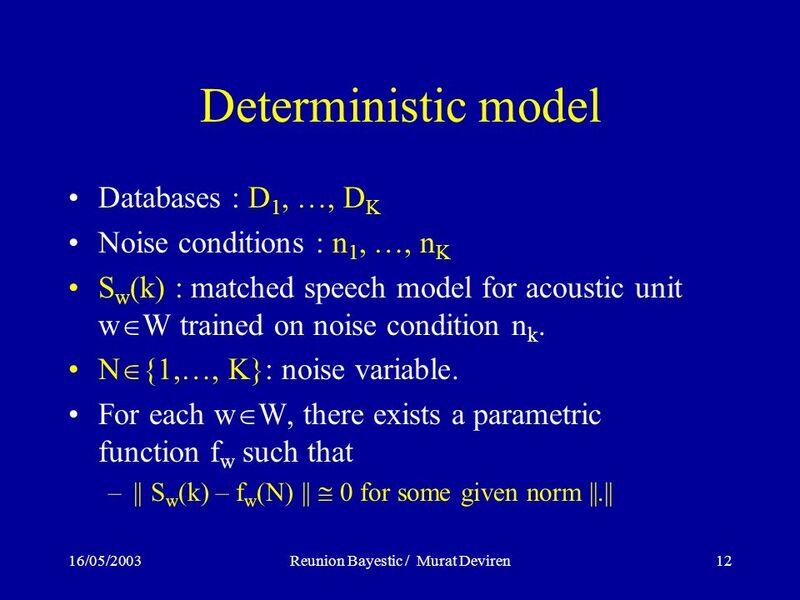 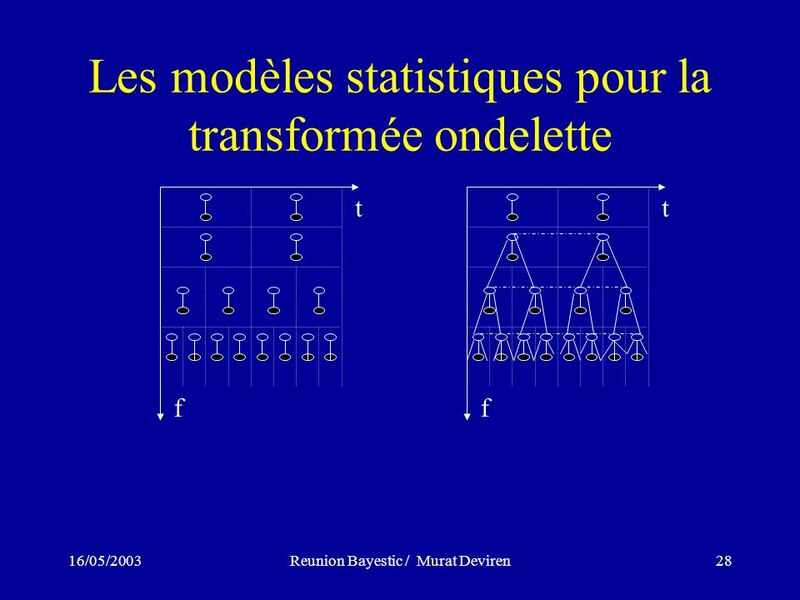 –Construct a parametric model that describe how matched models vary with noise model. 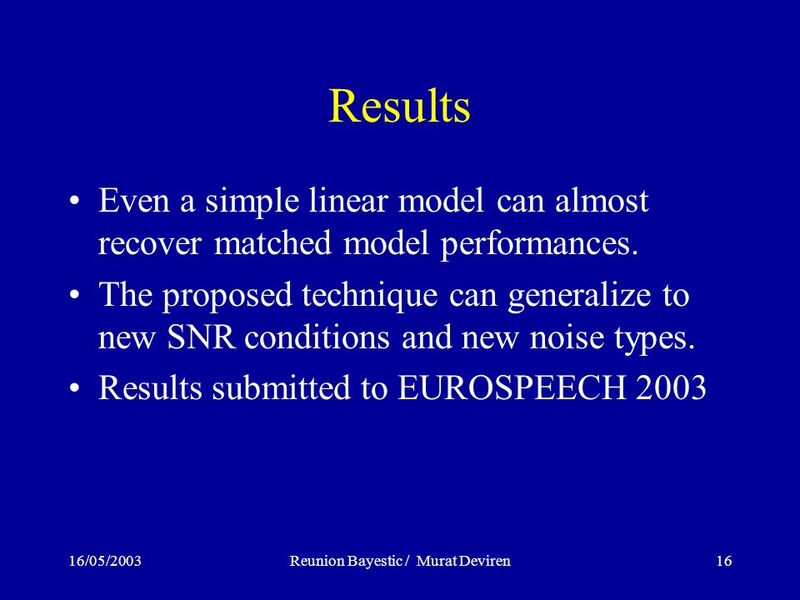 15 16/05/2003Reunion Bayestic / Murat Deviren15 Experiments Connected digit recognition on TiDigits 15 different noise sources from NOISEX –volvo, destroyer engine, buccaneer…. 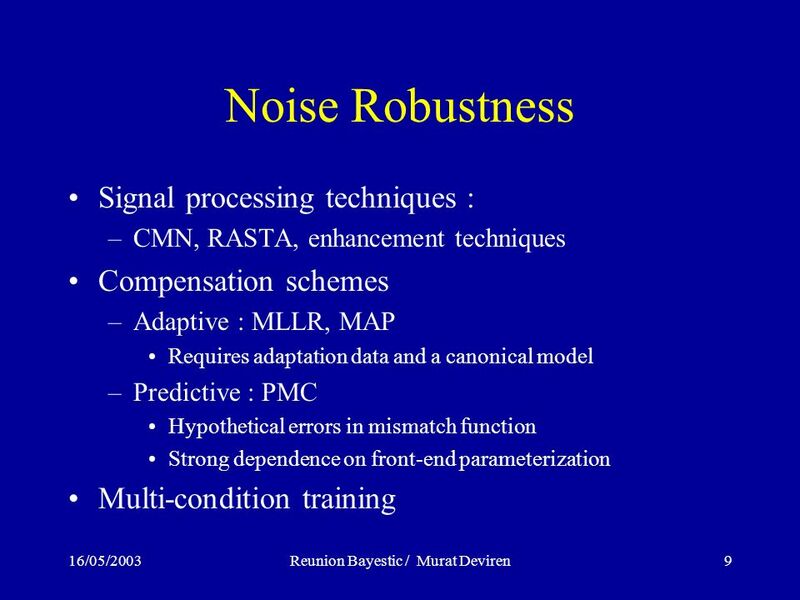 Evaluations : –Model performance in training conditions –Robustness comparison with multi-condition training : under new SNR conditions, under new noise types. 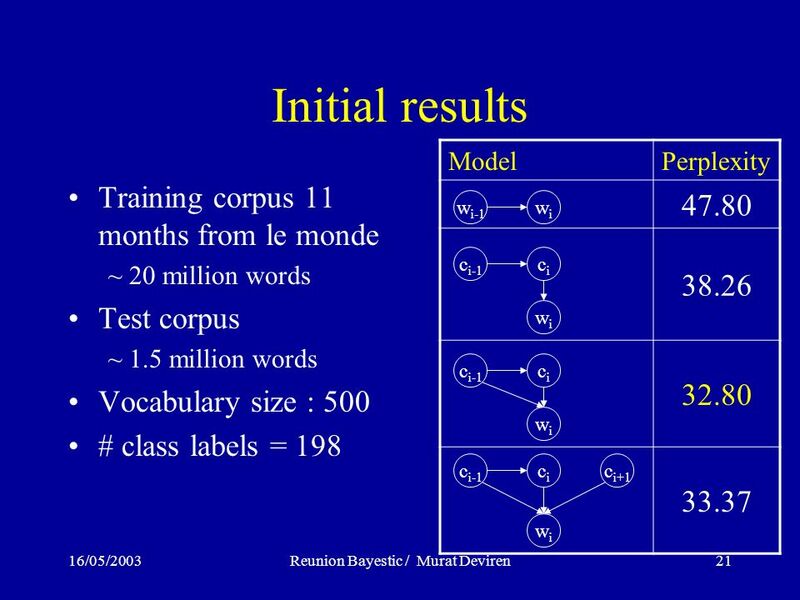 22 16/05/2003Reunion Bayestic / Murat Deviren22 Perspectives Initial results are promising. 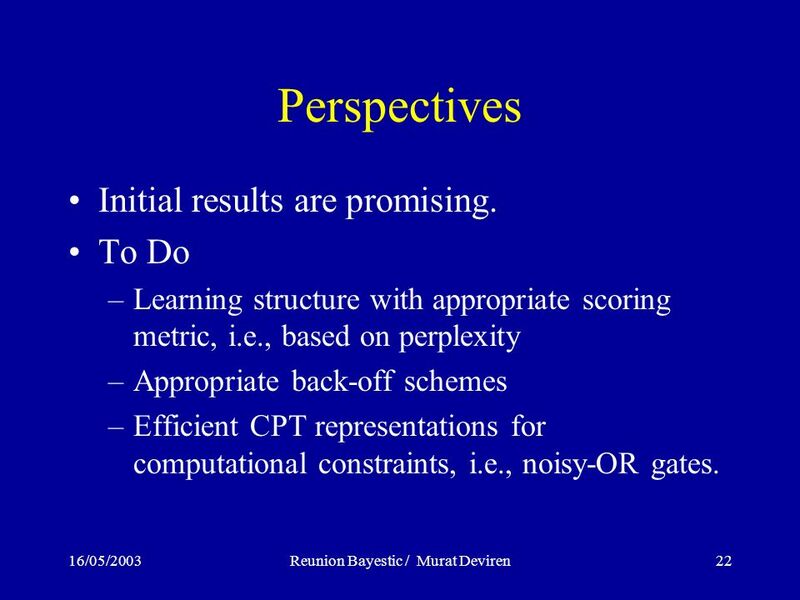 To Do –Learning structure with appropriate scoring metric, i.e., based on perplexity –Appropriate back-off schemes –Efficient CPT representations for computational constraints, i.e., noisy-OR gates. 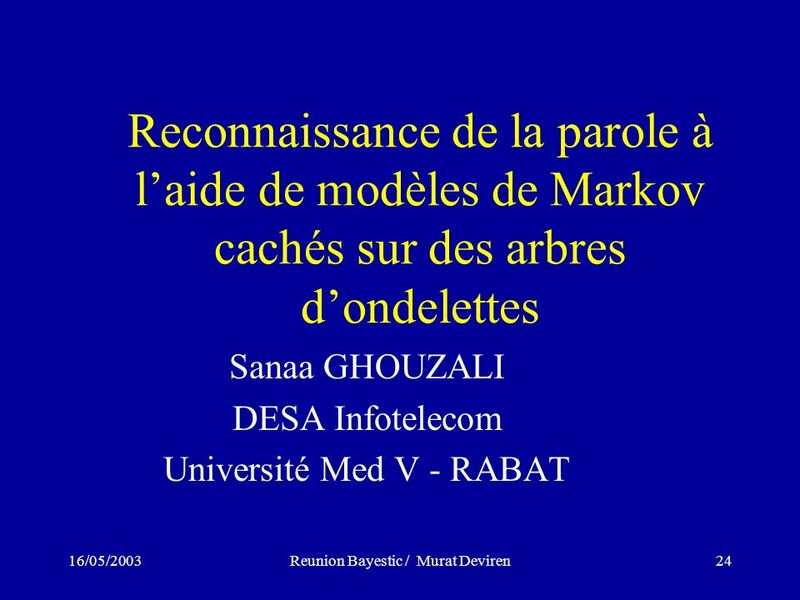 Télécharger ppt "16/05/2003Reunion Bayestic / Murat Deviren1 Reunion Bayestic Excuse moi! 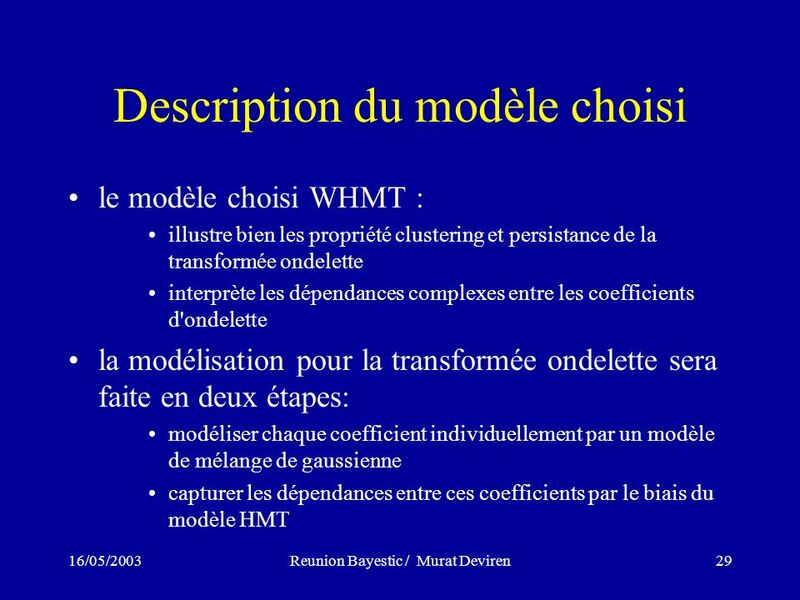 Murat Deviren."